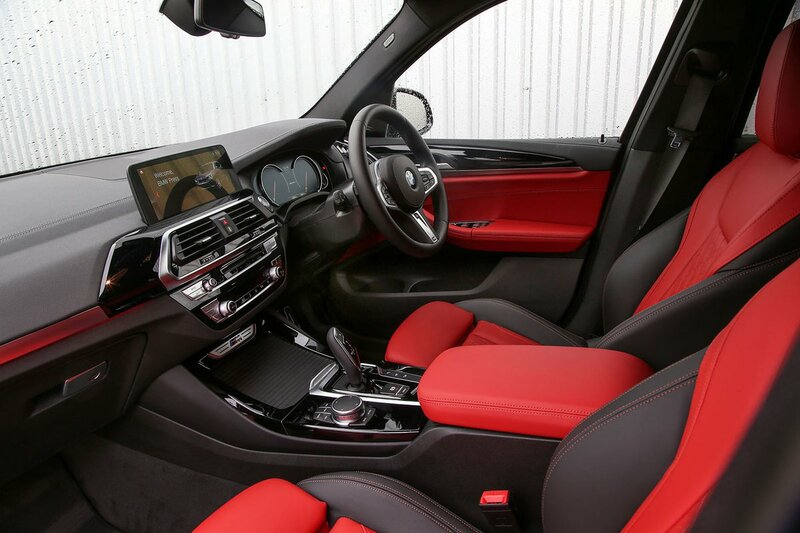 BMW X3 Interior, Sat Nav, Dashboard | What Car? SUV fans will be glad to hear that the traditional lofty driving position is all present and correct in the X3. The driver’s seat is supportive at the sides to keep you in place through bends – even more so with the sports seats in M Sport trim and the M40i. Furthermore, the seat lines up nicely with the pedals, so you don’t have to sit awkwardly. 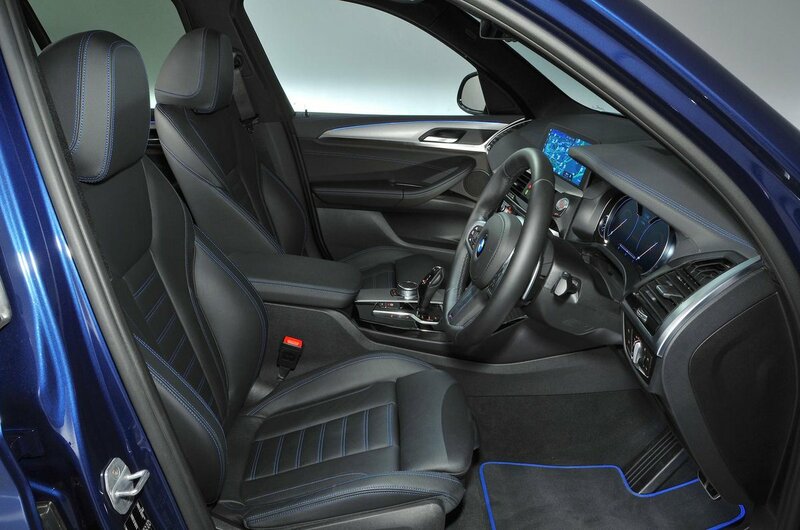 M40i models come with an electrically operated driver's seat with memory function, which is an option on lesser trims. Even so, all models have a good range of adjustability to the seat and steering wheel, although it remains frustrating that BMW doesn’t include adjustable lumbar support as standard. It’s a relatively cheap option, though, and one that we’d definitely recommend adding if you want to fully exploit what's otherwise a first-class cockpit. The car's main features and facilities are easy to operate, thanks to a well-designed dashboard that leaves everything clear and happily to hand. Seeing out of the X3 is easy in all directions thanks to deep windows that are framed by relatively thin pillars. This makes it easy to judge roundabouts and T-junctions, and a quick glance over the shoulder allows decent glimpse at what’s going on behind. Even so, BMW has thrown in front and rear parking sensors, as well as a rear-view camera, as standard on all trim levels to make life even easier. You can also upgrade the package, on every engine and trim combination, to include a more advanced 'surround 3D view' on the infotainment screen. Visibility after dark is aided by standard LED headlights, which you can pay extra to upgrade to adaptive LED's that can provide full beam illumination without blinding the cars in front (standard for M40i). BMW’s iDrive infotainment system and Audi’s MMI have been rivals years, but the former continues to have the edge. In the X3, entry-level SE cars have a 6.5in touchscreen that can also be controlled via a rotary dial between the front seats. The screen provides access to audio via Bluetooth, DAB radio and USB port. M Sport and M40i models are fitted with (the otherwise optional) Professional iDrive system, which features a 10.3in touchscreen. This is visually more impressive and its menus can be customised to your taste. Both systems are extremely easy to navigate. It’s just a shame that BMW still doesn’t include Apple CarPlay smartphone mirroring as standard, and even when you've paid extra to add it, you have to pay a subscription. And sorry all you Android users: Android Auto isn’t available at all. By the end of its life, the previous X3 was starting to lag behind its rivals for interior quality. But BMW has done a brilliant job at restoring the latest model to being among the best: the dashboard plastics are softer, the trims are sturdier and the switches slicker. 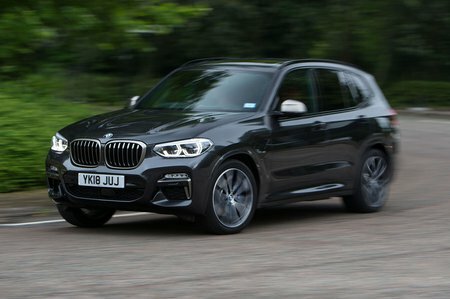 Indeed, the X3 has been treated to materials of the standard found in the current 5 Series – our 2017 Car of the Year – and benefits from them immensely. The Audi Q5 still holds onto the interior quality "class leader" title, but the margins are now very small indeed.